Are you dealing with water damage caused by a pipe burst, leaking pipe, flood, or sewage spill? You can get the help you need to recover from these emergencies by contacting 911 Restoration of Dallas right away. Our water damage restoration crews are on call 24/7 and they can reach properties in DeSoto within 45 minutes of an emergency call. Our crews can also help with mold removal in DeSoto. Excess water encourages the growth of mold, so you may need a mold inspection after a flood. Let us focus on mold remediation and mold decontamination in DeSoto. 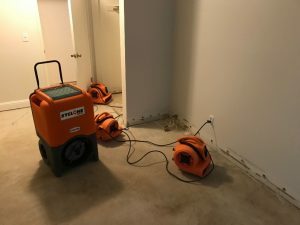 Water damage restoration in DeSoto can involve water extraction, flood cleanup, drying, dehumidification, and the repairs of structural damage. During the water damage restoration process, our technicians can pack out and store your undamaged belongings. Mold remediation in DeSoto should be handled by mold experts who are armed with the appropriate safety gear. Let us take charge of the water damage restoration, mold decontamination, and mold removal in DeSoto. Our IICRC certified technicians can focus on returning your property to better than new condition, starting right now. Leaking pipes, frozen pipes, sewage backups, floods, and pipe burst in DeSoto can all cause massive amounts of water damage in DeSoto. 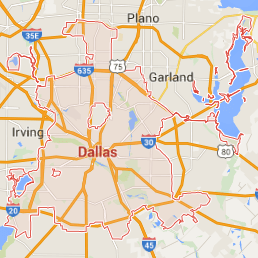 You can get immediate flood cleanup assistance by contacting 911 Restoration of Dallas right away. Crews are trained to provide both commercial and residential mold removal services, beginning with a mold inspection in DeSoto. Mold decontamination and mold remediation can protect your health from toxic mold spores while removing the unpleasant odors association with mold growth. You should not even be able to tell a mold infestation took place when we are finished. Your property can be returned to better-than-new condition with professional property restoration services in DeSoto. Let our highly trained and experienced crews begin working on your property right now. You can get your life back on track by working with water damage professionals after a flood or a plumbing disaster in DeSoto. Servicing the cities of Canton, Cedar Hill, Dallas, DeSoto, Ennis, Fair Park, Grapevine, Kaufman, Lancaster, Red Oak, South Dallas, University Park, Terrell, Quinlan… and surrounding areas.